Thank you to everyone who gave assistance during the recent snowy conditions. It is always inspiring to hear of the good happening in our community. Devon Woman Trish Deykin has her sporting achievement recognised with the “Peter Holmes” award. Devon restaurant is serving up a 200oz monster steak challenge. Eat it in an hour – get it free! Paignton Festival 21 July 2018 – 30 July 2018. Formerly named the Torbay Carnival, it has been running for over 100 years. We do all this to help raise money for local charities and organisations. Find out What's On In Devon, Restaurants, Shopping, Sightseeing, Sports, Events, Nightclubs, Places to stay, Hotels in Devon, with our comprehensive website. Whether you live in Devon, are visiting or looking to move here, you will be able to find places to stay, the best places to eat and drink, properties to buy or rent, local news & events, activities for the whole family, unique places to shop, beautiful scenic locations, historic landmarks, city centre entertainment, attractions and more! With two National Parks, a variety of Areas of Outstanding Natural Beauty, and an abundance of beautiful coastline, you’ll find spectacular scenery wherever you look, giving plenty of opportunities to make the most of the fresh air. Devon has a wealth of heritage and this can be witnessed throughout the grand stately homes, fascinating museums and magnificent gardens dotted all over the county. If you are looking for a luxury break, Devon has a great selection of top quality hotels, or if you prefer to stay somewhere smaller and more intimate, there are plenty of conveniently located B&Bs and Guest houses to choose from. Devon is the only county in England that has two National Parks and the only county in the UK to have non-continuous coastline on both the north and south. close to the coast, lends itself perfectly to outdoor activities, such as walking, cycling and watersports. There is also plenty to do out of season, with the south west's largest indoor climbing wall just one of many indoor activities. Devon is highly regarded for its fantastic fresh produce and the county has in fact been awarded Fairtrade county status since 2008. With so many places to eat and drink, you are not going to be disappointed in Devon. From fruit and vegetables to meat and fish, the county boasts a high standard of food that can be found across its variety of restaurants, markets and festivals. Not forgetting fish and chips, ice cream and fudge too! The delicacy that the county is most renowned for would be that of the cream tea. A scone topped with clotted cream homemade jam, this sweet treat is a must try during a visit to the area. Pasties are also widely eaten in the county and are crimped on top and oval shaped, differing from the Cornish counterparts, which are crimped on the side and take a semi-circle shape. Come and enjoy some of South Devon’s freshest seafood and carefully sourced quality meats in our relaxed and informal restaurant. Prepared, cooked and served with passion and care. An award winning, rustic seafood restaurant, serving a selection of daily catch seafood - with heaps of charm. A 13th Century village pub steeped in history and bursting with original charm and character. Inglenook fireplace, log burners & beams a plenty..
Our restaurant is little off the beaten track in the west quarter of the city but offers quality dining in Devon. The Fish and Seafood we use come from day boat landed. Devon offers a wealth of coastal towns – many of which have become thriving resorts. So if you have an interest in sailing, fishing, surfing – or just lust after the salty sea air – you’ll need to adjust your property search to suit. On Devon’s south coast, you’ll find the borough of Torbay, which incorporates the towns of Torquay, Paignton and Brixham. This a stunning county of great contrasts, with two beautiful coastlines, two National Parks and five official Areas of Outstanding Natural Beauty. 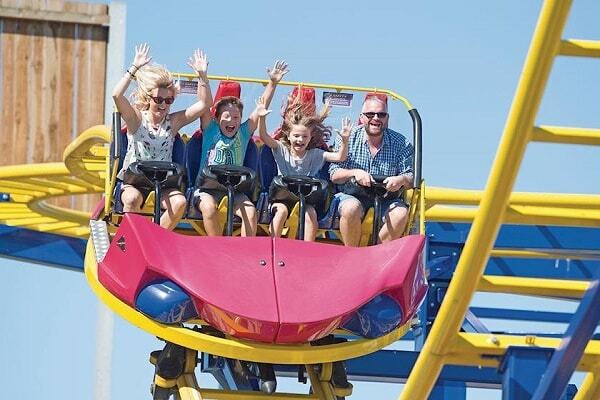 Whether you’re looking for things to do in Devon such as events and attractions or are planning where to stay in Devon, you’ll find everything you need for your Devon holiday on Whats On In Devon.net. Devon has an extensive range of things to do with a selection of places to eat and drink, adventures and activities, plan your stay and visit to Devon.